It's already our third day in Rome and I have to say the weather is really hot. So hot that pesky mosquitoes bit baby Aria and me so much! My husband Lulu says it's because we're so sweet. I like to think it's because of the things we eat and drink. Speaking of sweet drinks, I prepared a large pitcher of strawberry green tea for the family to enjoy after our visit to the Vatican. The recipe is ultra easy. 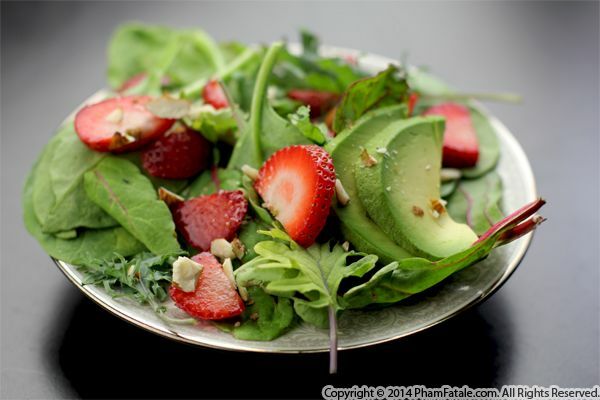 I steeped green tea leaves and added fresh, flavorful strawberries and freshly squeezed lemon juice. Today is a very special day for PhamFatale.com! 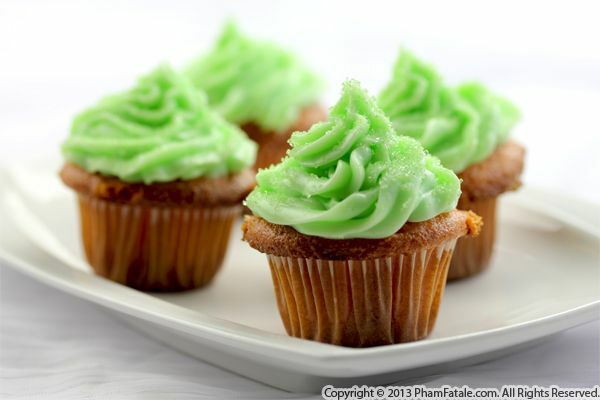 It seems like just yesterday that I launched the website and I can hardly believe that we’ve already made it to the 1000th recipe. Well technically, this is the 1001st recipe but I couldn't resist baking a cake to belatedly celebrate the occasion. 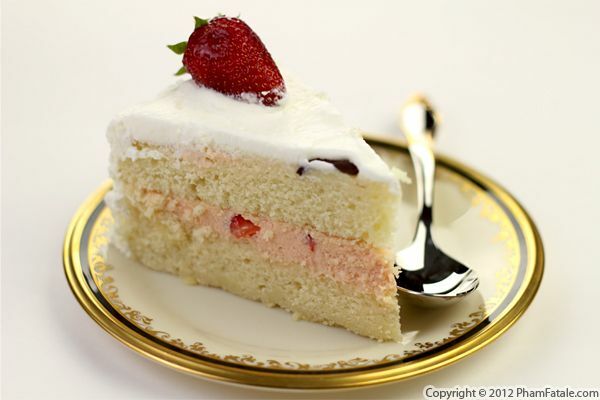 It's a fairly simple cake, made of layers of mascarpone custard, chopped strawberries and vanilla frosting. As I've said in the past, food is an ephemeral art form and it's easy to forget what you've made and what you've eaten. PhamFatale.com has become a living record of the meals I've prepared for, and with, my friends and family, and I've had such a blast sharing my daily culinary adventures with all of you. So many good memories are preserved in these web pages and this year has been chock full of them. It has truly been a pleasure to learn from, share tips with and otherwise interact with food lovers from all around the world. Although I owe my success to all of my faithful foodies, there is one food lover in particular who is especially near and dear to my heart. I'd like to give a special thank you to my friend Carole, whom I met after she sent me an email when I was featured in the San Jose Mercury News several years ago. Ever since, she has helped edit all the recipes that I've posted as well as my upcoming cookbook, Haute Potato, which comes out this December. Carole has a great eye for detail and a wonderful culinary sensibility to boot. I never would have dreamed that meeting over coffee and talking about our passion for food would turn into such a special friendship, and for that I am so grateful. Again, thank you all for your support. I've been pretty overwhelmed with messages on Facebook, Twitter and your private messages, but I promise I'll make it my top priority to respond to all your lovely comments. Please be assured that I enjoy reading every single one of them, and they always fill me with so much joy. In fact, my morning rituals couldn't be complete without your wonderful messages, my workout routine and of course a special kiss to my baby daughter! I can't believe almost half of 2012 has already passed by and now we're already in June! After having my wonderful daughter, finishing my first cookbook (which by the way is already available for pre-order and will be released December 18th) and finally becoming an American citizen, my husband Lulu thought I deserved a little celebratory vacation to Yountville in the Napa Valley. Even though it's a short ride from our house, I made small energy drinks before hitting the road to enjoy during the drive. 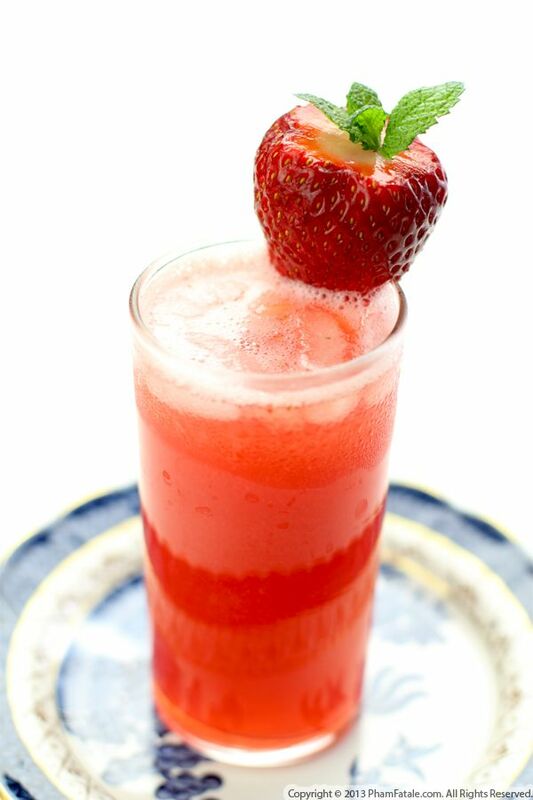 The drink is a blend of strawberries, raspberries, kiwis, peanuts and vanilla extract. 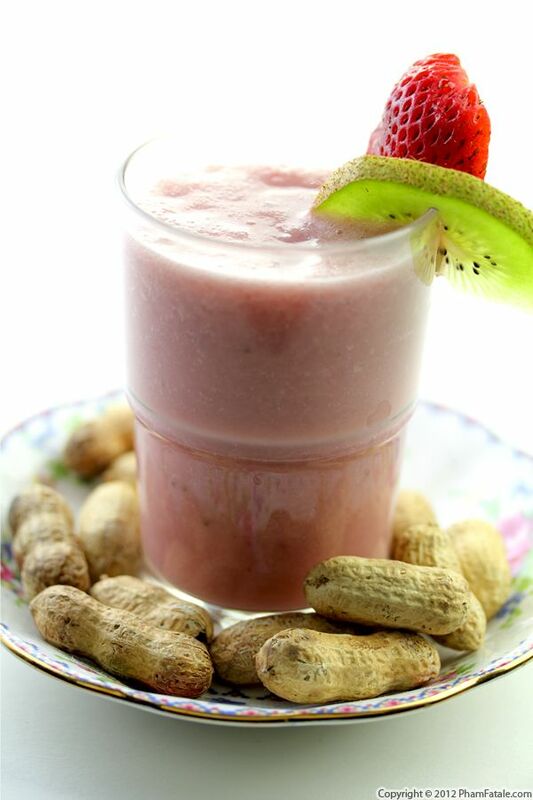 The fruit gives you an instant energy boost, and the protein in the peanuts will keep you going longer than your average smoothie. It's a delicious and healthy way to start the day!